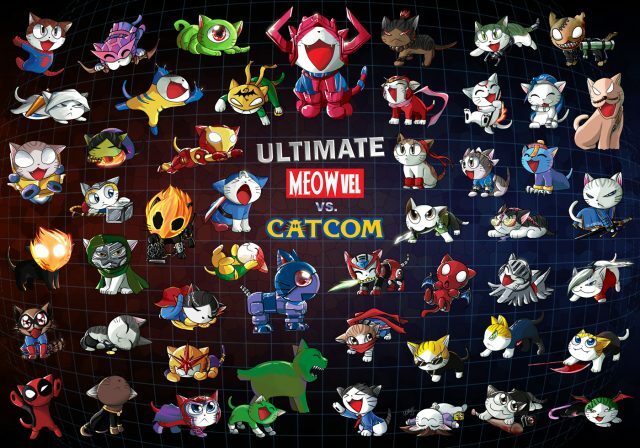 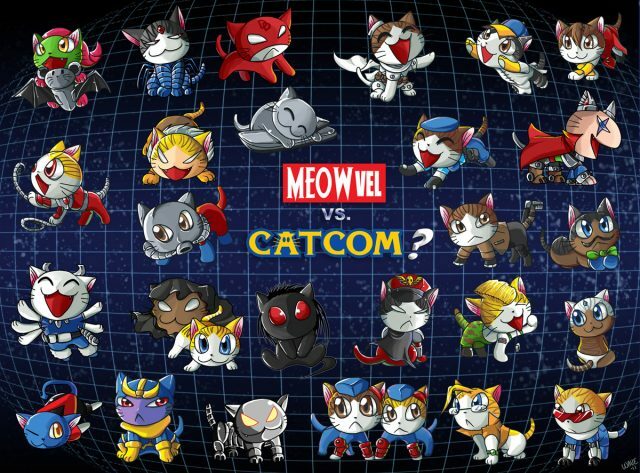 Today I present the cast of Ultimate Marvel vs Capcom 3 as cats from Chi’s Sweet Home. 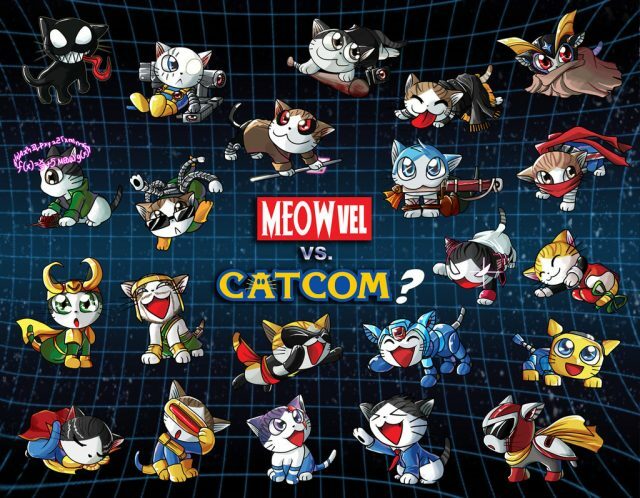 I actually met Wave last weekend at Matsuricon, and she was showing off plenty more cat parodies. 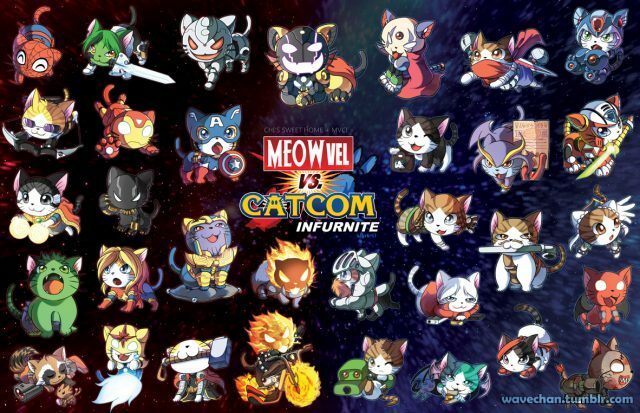 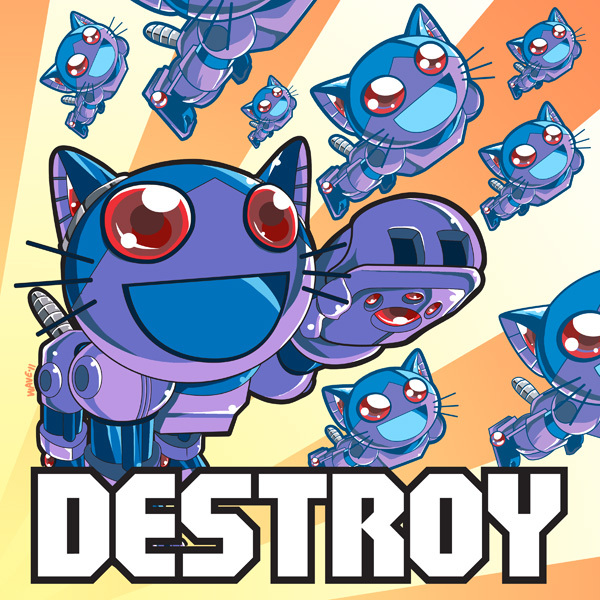 Update: Meowvel vs Catcom Infurnite!